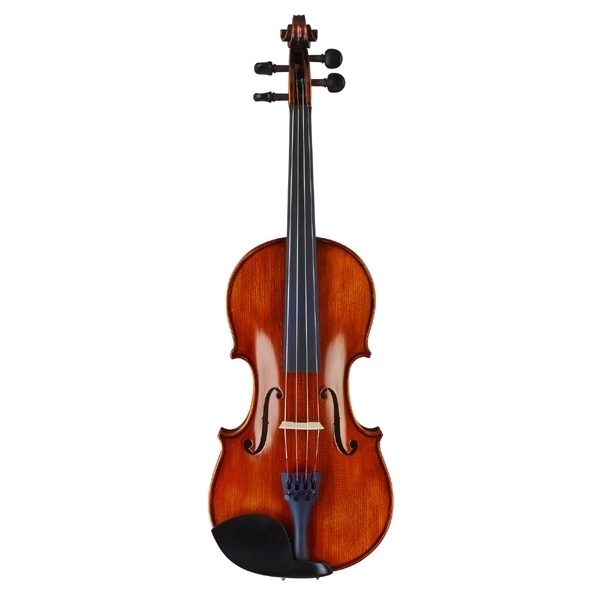 The “London” model violin features superbly flamed two-piece back with matching ribs, neck and scroll, and even-grained spruce top, inlaid purfling, and ebony pegs, nut, fingerboard, saddle and endpin. 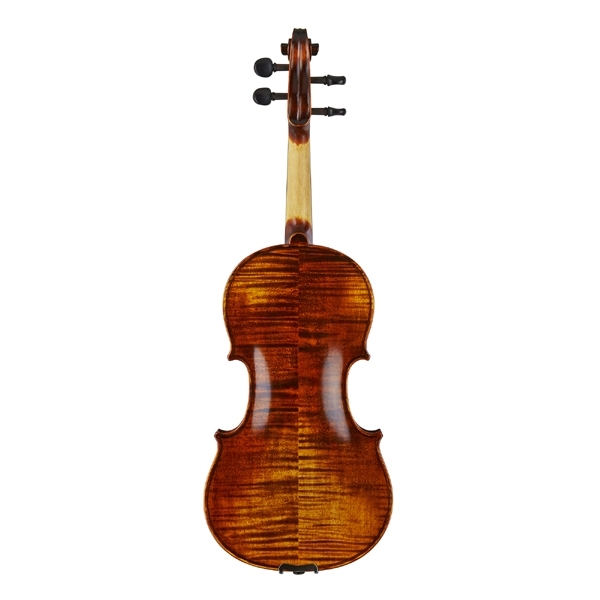 Attractively shaded golden brown finish highlight the beautiful tonewoods. Interior features fitted corner blocks and lining, and carefully graduated plates.